Rebecca & Sheila, a photo by glennia on Flickr. I feel so officially clever after hanging with one of my fab Sony Moms and Clever Girls co-founder Sheila Dowd at our BlogHer dinner. I think the auto soft focus went a little too Barbara Walters, but I guess I looked that tired to the camera! Thanks to Glennia Campbell for the great pic! 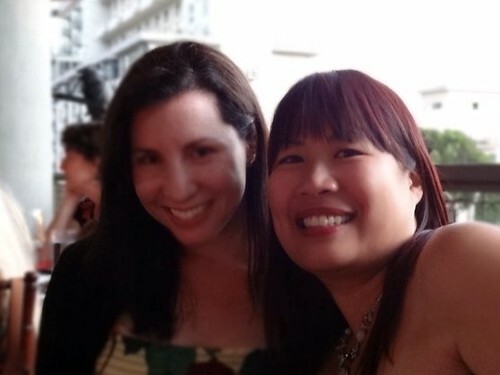 My real BlogHer recap is coming soon but I couldn’t resist getting this pic up now.